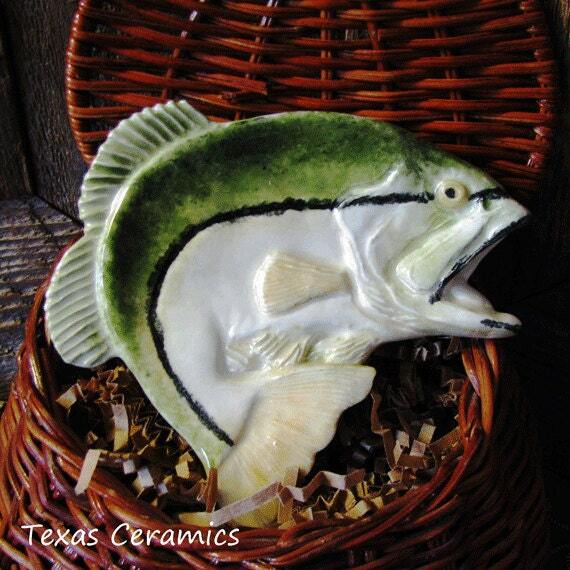 This ceramic large mouth bass is ideal for an avid outdoor angler fisherman. 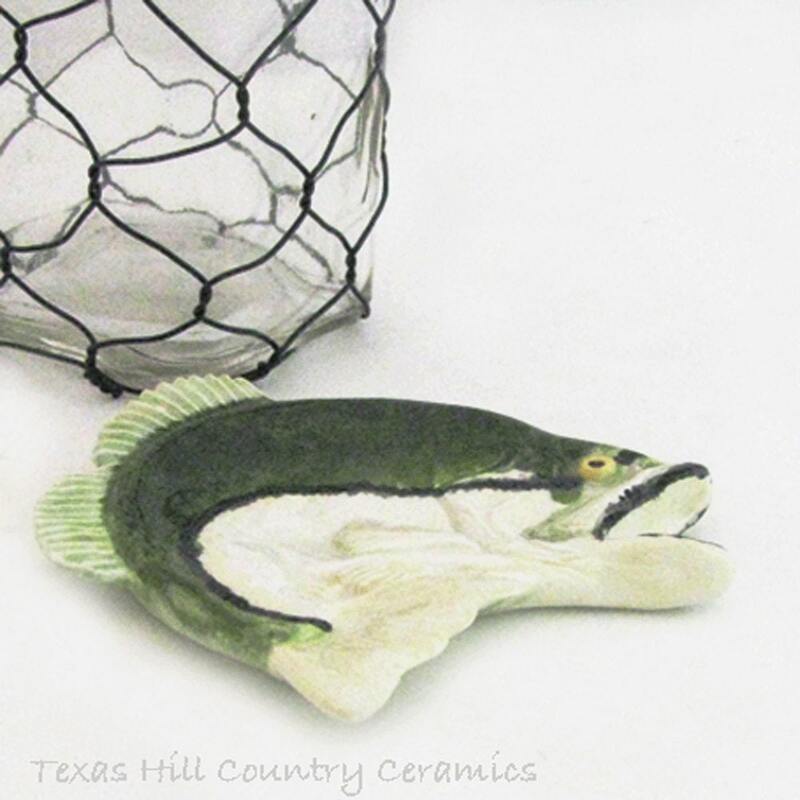 This wide mouth bass fish can be used as a desk accessory or accent for a dresser, it can also be used as a tea bag holder, small spoon rest or a table place setting accent at your next fish fry. 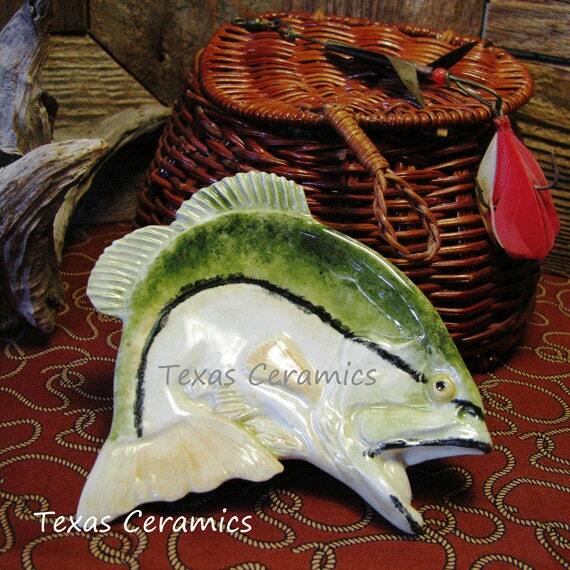 It also make a great rustic accent item for the mountain or lake fishing cabin, the bass can be stacked one on top of each other for those with small confined areas. 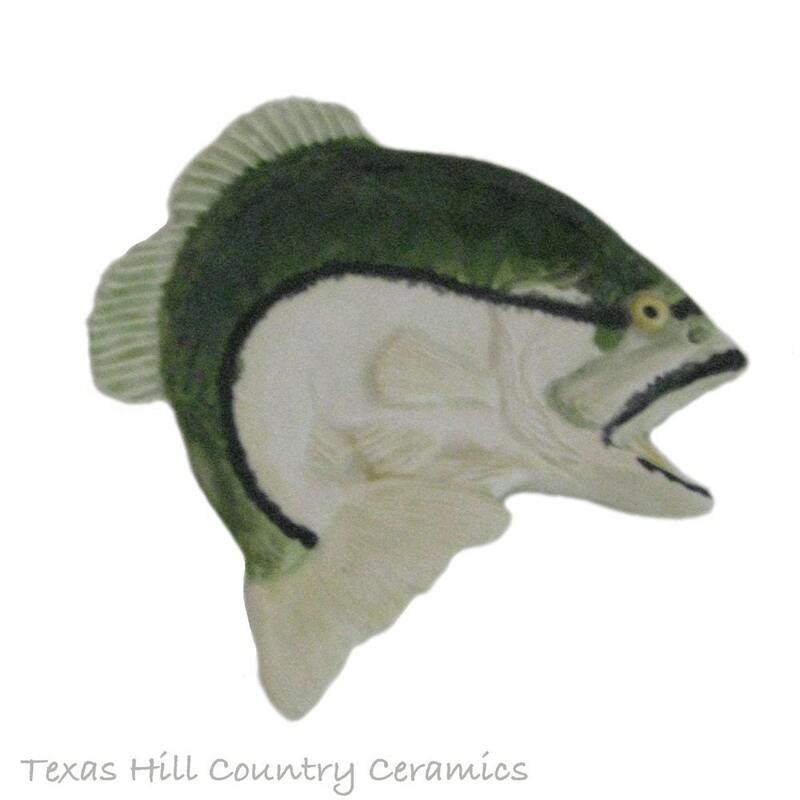 The bass fish is made of kiln fired ceramic clay and finished with underglaze and lead free glaze. Keep in mind due to each one being hand painted the one you receive may vary slightly from the one in the photo. 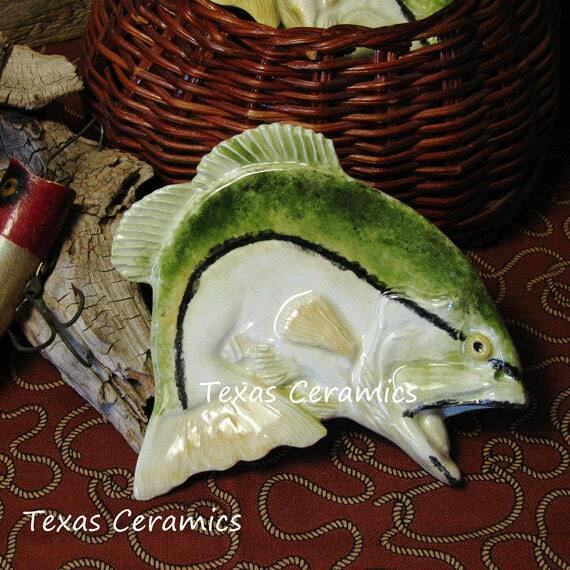 I have been making these holders since 2004 and have a large assortment of them in a variety of colors and themes. Not only does it make a great spoon rest or tea bag holder, it can also be used to hold rings, jewelry, coins, paper clips, tacks, keys, mini soap bars, candy, coffee pods, scrubber, vegetable brush, dinnerware place setting accent, your imagination is the limit. SO ADORABLE!!! Matches our kitchen decor perfectly and my husband loves it too!!! Thank you!! Very nice! Ive looked everywhere for one of these but yours exceeded my expectations! !